Who said that Potty Training was hard? I mean seriously, we truly have been Blessed. This toddler stage for us was truly effortless. Literally... Then again, my husband and I don't even recall our son JeNoah being a baby. It's funny how that happens. It was as if he woke up one morning and was like "I am going to use the potty today!". It happened like what seemed that quickly. I didn't know it at the time, when I bought my last case of diapers it was the LAST case. I was happy and yet sad at the same time. Some toddlers are not so simple to train, I have some great tips for dealing with Potty Training Resistance. Signs they are ready to begin Potty Training. Your toddler starts taking off their own diaper. This means they do not want to sit in a wet diaper, or else they just start to hate wearing them. Great sign! They understand that they do not like to feel wet. Waking up from a nap with a completely dry diaper. YEAH!!! This means they are in the beginning stage of learning bowel control. Can understand and follow directions. You can say go to the potty and they know what you are talking about. This is a sure sign that your child is ready for potty training. So once my husband and I realized that he was ready we let the FUN begin. Don't get all stressed about potty training. Just try to relax and have fun with it. Here are some steps to make the transition fast and easy. Tips to help make Potty Training Easier. Take your toddler shopping and let them pick out their own underwear. Make a big deal about the underwear. YEAH!! The character ones they Love. It makes a difference. They feel so proud wearing their big girl or boy undies. My son would say "choo choo, or Diego." He wanted to wear them. I truly think the character underwear made a difference, rather than just plain ones. The appropriate toddler training pants are very important during potty time. Buy a Potty Chair. I know there are lots and lots of elaborate chairs out on the market. I personally do not think it's necessary to spend lots of money on one. My son used his for a short time. He quickly transitioned to the Big Potty. We purchased one for $10.00. It even had a little handle that made the flushing noise. As long as it has a removable bucket, you're good to go. Again, you could even let your toddler pick out their own potty. Make a big deal about it. Wear underwear on your child at all times during the day. Except at nighttime and nap time. (that is another task for a later time.) Face it, they are going to have accidents. Toddlers are just so busy that they forget to use the bathroom. Take extra changes of clothes, shoes, socks anything that is necessary if needed. Take extra clothes wherever you go. Pull-ups to me are much like a diaper. They are more for the parents and I believe they pro-long the potty process. Now we did use pull-ups at night. During the day absolutely do not use them, even when going to the store. Or in the car. It truly made a difference and it seemed like potty training went faster. Cheer,Clap and dance when they do use the bathroom. Every single time my son would go we would cheer,dance and clap. He loved it and it encouraged him to keep going. Within days he was using the potty all by himself. He wouldn't even tell us. He'd just sit down and go. He did so Great and I was so proud!! Okay now that we have that task mastered. YEAH!!! Unfortunately, having a bowl movement was another issue. I know moms, this is the yucky part about potty training. It's not going to be as bad as you think. If your Toddler has trouble having a bowl movement on the potty. Use a diaper or Pull-up if they are having trouble having a bowl movement during potty training. It scared my son to go and he would just cry and jump around. He would literally hold it so long until he was constipated. I could tell that he was afraid to go poopie in his potty and even the big potty scared him. So when he would act like this we would put a Pull-Up on him and he would finally have a bowel movement. I just felt like he needed more time with this. After a few weeks he was fine. He would go on his potty with no trouble. So if this happens in your case where your toddler is afraid, then just put a diaper or pull up on them when they act this way. It will be okay and they will eventually not be afraid. They will get used to going on the potty, in their "own" time. Continue with the underwear throughout the day, at all times. It may get frustrating, and you will wash tons of clothes but it is worth it. It really does work. So after about a month using all of my methods, my son went on the big potty with no problem. He would go in the bathroom, shut the door and climb up on the potty and go, all by himself. It was so funny, he looked like a grown man. He would then come and tell me or my husband so we could help wash his hands and wipe if needed. Once you finally have the bowel movements also mastered, it is time to tackle the nap and nighttime potty issues. This may take some time. It really depends on the toddler. You never know. Here are the tips that I used and I hope they work for you. Nap Time Potty Training Tips. Try not to give your toddler anything to drink an hour before their nap. If you do make it minimal. My son only napped for two hours or less, so he was fine when I used these methods. Again you are going to have accidents. If it would make you more comfortable, you could purchase plastic covers for their mattress. ( You can find these in most department stores.) Nighttime is different because of course they sleep longer. So here are some methods that I believe work for night time. Solve The Potty Training Mystery Within 72 Hours And Your Toddler Is Diaper Free Forever! There Is A Really Simple Solution to Potty Training Your Child Early, Quickly, And With The Least Stress For You And Your Toddler. Click image to discover how! Do not give liquids at least one hour before bedtime. Whatever your toddlers bedtime is give no more liquids an hour prior to that. Put your toddler on the potty right before you lay them down. If they lay in their bed and do not go to sleep right away, get them out of bed and do it again before they fall asleep. Get your toddler up through out the night and potty them. Yes, that is correct. When I got up to use the restroom, I got my toddler up and placed him on the potty and he would go. Asleep and all. Now if you are a person who doesn't get up throughout the night and use the restroom, set an alarm. Seriously. I know most parents will not agree or like this method but it works. They will learn bladder control quickly. They learn that if they have to go to the bathroom they can get up and use it. ( when they are of an appropriate age to get up and go by themselves.) If they are still on the younger side then just continue to get them up and potty them throughout the night. It worked for my son and I hope that it works for your toddler. I am not a doctor, or any type of professional. I am a stay at home mom passing on advice that was helpful for me. These methods may or may not work for your toddler. You really have nothing to lose by trying. I wish you and your toddler success throughout this Potty Training process. Be Blessed!!! 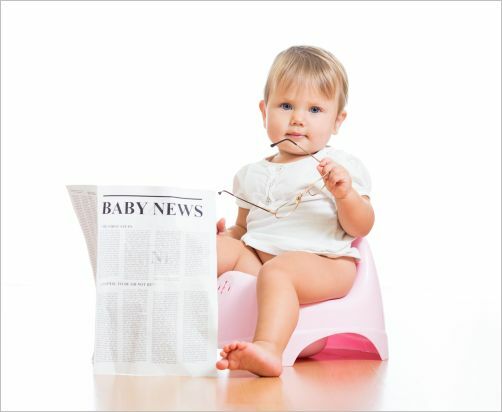 Come on Parents, share your potty training tips with us. You may have some advice that will help others during this toddler stage. We want to hear about it! Use our Toddler Training Pants tips and advice to help you and your child during the potty training phase. Toddler Constipation is common in children. Learn how you can treat and prevent this ailment in your family.